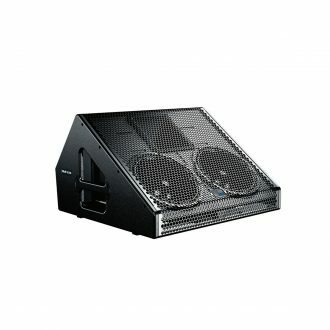 A self-powered stage monitor High peak power, Flat frequency, phase responses and medium-Q pattern. 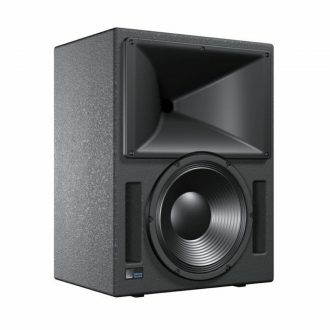 The MJF-212A monitor’s phase-corrected frequency range of 55 Hz to 18 kHz enables accurate reproduction of both vocals and instruments with high gain before feedback and provides excellent intelligibility at high output levels with low distortion and no coloration added to the signal. The MJF-212A is also engineered to have exceptional low-frequency headroom, which can be helpful in some applications such as the extreme low-frequency demands of high-level drum monitoring. 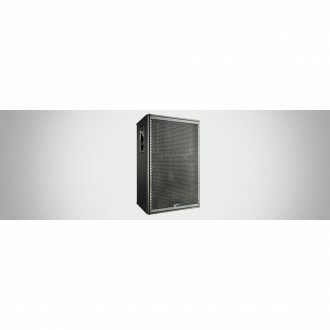 The face of the low-profile cabinet slopes at 40 degrees from the stage to permit optimal placement relative to the talent, while its medium-Q horn provides even coverage in both the horizontal and vertical planes. 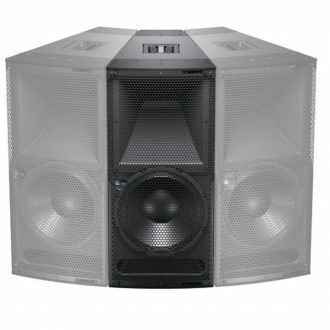 The loudspeaker’s high-frequency section comprises a 4-inch diaphragm compression driver coupled to a symmetrical (50 degrees horizontal by 50 degrees vertical) constant directivity horn. 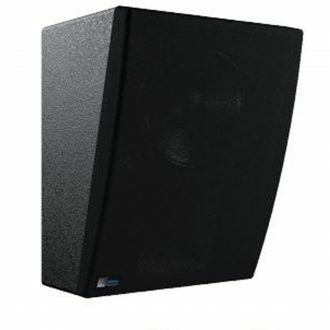 A pair of high-power 12-inch neodymium magnet cone drivers with 4-inch voice coils, mounted in an optimally vented enclosure, reproduces low frequencies. Each driver is powered by one channel of a three-channel class AB/H amplifier that employs complementary power MOSFET output stages to provide total burst output of 1275 watts (2 x 500 watts, 1 x 275 watts), 2550 watts total peak. 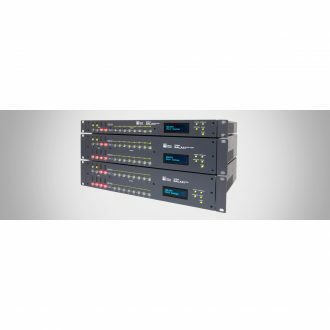 The MJF-212A incorporates Meyer Sound’s Intelligent AC system for automatic voltage selection, EMI filtering, soft current turn-on, and surge suppression. 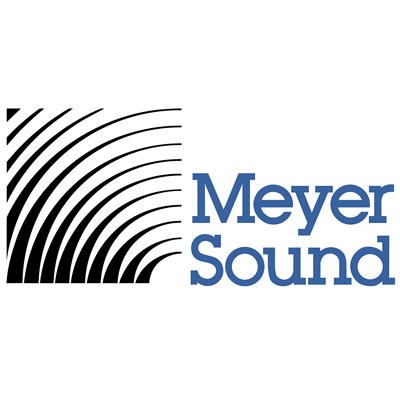 The MJF-212A can be integrated into Meyer Sound’s RMS remote monitoring system with the addition of an optional module. RMS is a Windows-based computer application for monitoring the full range of amplifier and limiter operating parameters. 2. Half-space loading measured with 1/3-octave frequency resolution at 4 meters. 3. Measured with music, half-space loading, referred to 1 meter. 4. At this frequency, the transducers produce equal sound pressure levels. 5. Power handling is measured under AES standard conditions: transducers driven continuously for two hours with band limited noise signal having a 6 dB peak-average ratio. 6. Amplifier wattage rating based on the maximum unclipped burst sinewave rms voltage that the amplifier will produce for at least 0.5 seconds into the nominal load impedance. 7. Peak power based on the maximum unclipped peak voltage that the amplifier will produce for at least 100 milliseconds into the nominal load impedance. 8. AC power cabling must be of sufficient gauge so that under burst current rms conditions, cable transmission losses do not drop voltage below specified operating range at the speaker. 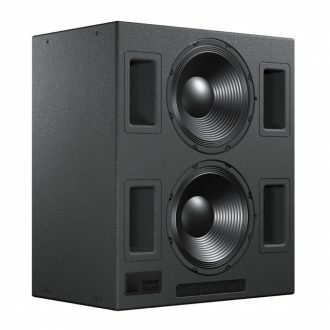 The self-powered Acheron LF with dual 15-inch drivers boosts the headroom on the LCR channels be converting each Acheron loudspeaker to a system with three low-frequency drivers in an aligned column. 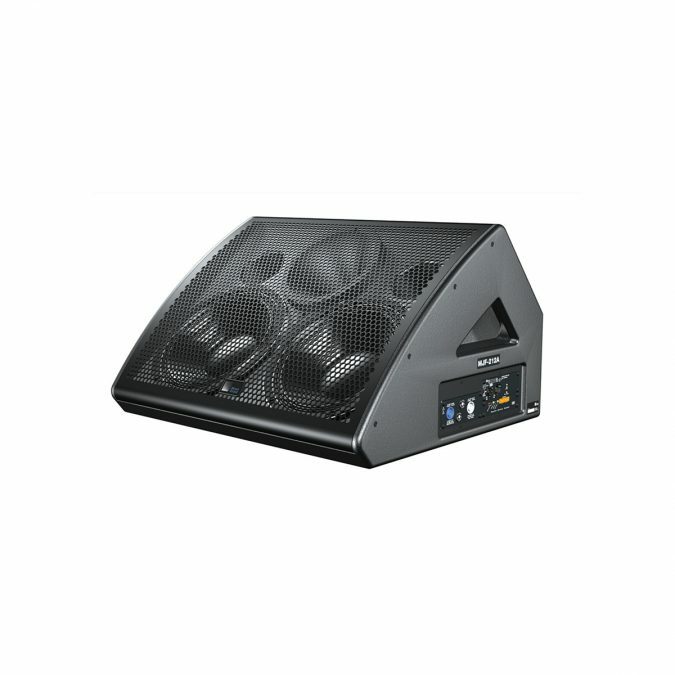 The MM‑10 miniature subwoofer delivers expanded low frequency for applications that require excellent audio quality from a compact system. 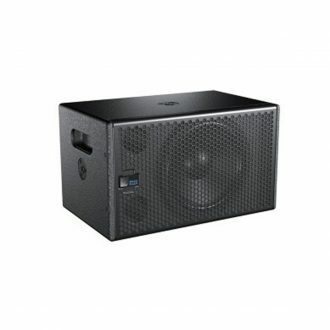 The JM-1P self-powered loudspeaker is a high-Q, arrayable loudspeaker suited for a wide range of applications. The loudspeaker shall be a self-powered, full-range system;the transducers shall consist of a 15-inch diameter cone driverand a 4-inch diaphragm compression driver on an 80-degreehorizontal x 50-degree vertical horn.